Eliminating the dangers of childbirth? Scientists have long had the capability to facilitate fertilization outside of a woman’s uterus, but technology allowing ectogenesis, or the ability to grow a fetus outside of a woman’s body, has reignited debates in this complex intersection of medicine, bioethics, and reproductive politics. The impacts extend into the professional labor market, as well. In professional climates, where women feel social pressure to hide their pregnancies, ectogenesis would allow women to have babies on their own timetable, away from the prying eyes of supervisors and co-workers. As new data from the U.S. Equal Employment Opportunity Commission shows, pregnancy discrimination continues to affect women in every field in every locality in the country. If ectogenesis becomes an affordable option for working women, pregnancy discrimination could be avoided altogether by rendering gestation and childbirth completely invisible to employers and prospective employers alike. 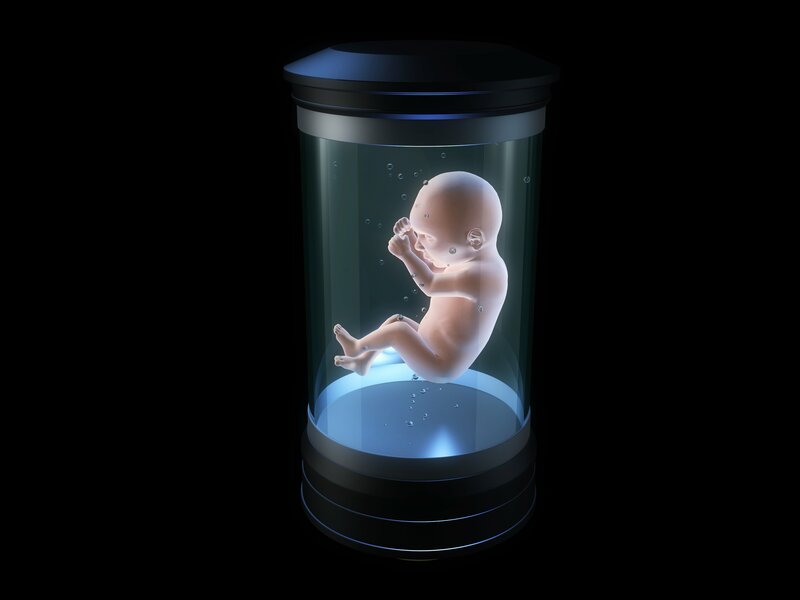 While artificial wombs would have the capacity to remove women from the medical risks of childbirth and provide what may be a safer environment for endangered fetuses and premature babies, many denounce ectogenesis on religious and moral grounds. Some feminists are skeptical, saying it this surrenders an aspect of essential womanhood over to science, while men’s rights activists believe that this may result in a society where the fetuses from abortion procedures may continue to grow to fully developed humans. Bioethicists indicate that the acceptance of this technology would allow homosexual couples and single men to have children without the use of surrogate mothers. Read on to learn more about the ethical dilemmas of ectogenesis—a term coined in 1924 by British scientist J.B.S. Haldane to describe what was then just a science fiction fantasy—as it becomes a reality.